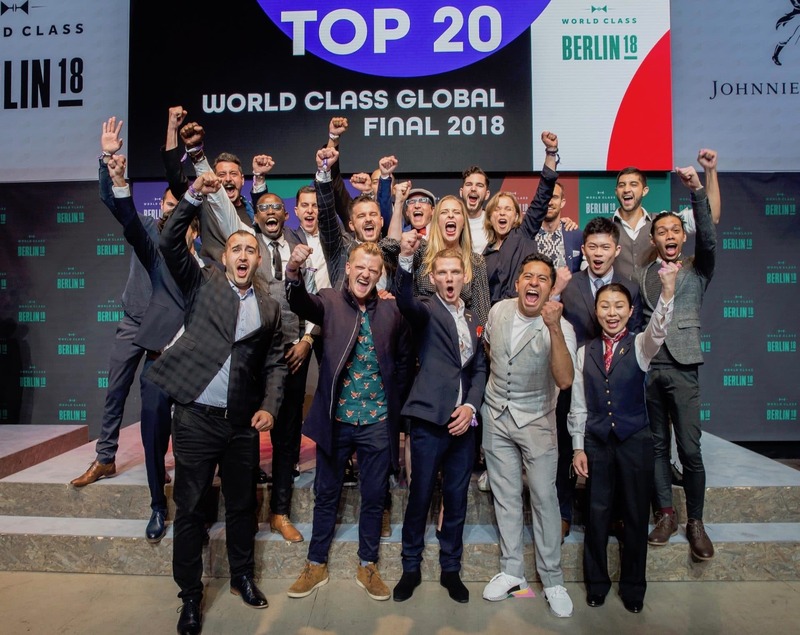 Ten thousand contestants, five continents and six months — the road to being the world’s best bartender is by no means an easy feat, but the honours of being the World Class Global Bartender of the Year 2018 was well earned by Australia’s Orlando Marzo from Melbourne’s acclaimed multi-disciplinary restaurant, Lûmé. Held in Berlin, the four-day final was a battle of nerves for 56 of the best bartenders the globe had to offer, where the winner was decided over countless challenges and cocktails. Since its establishment in 2009, the Diageo Reserve World Class has been a platform for thousands of aspiring bartenders to package their aptitude, experience, and inspiration in the form of cocktails. In Asia, several bartenders from notable bars and restaurants have risen to the challenge of becoming the next mixology sensation, infusing their creations with their country’s unique flavours. Here, we get to know the finalists on the Asian continent, and of course, the overall winner of the prestigious competition. It’s clear that Barnett Yueh has immense pride for his nation. After all, his winning 2018 World Class Taiwan cocktail is a Johnnie Walker Black Label-based concoction which marries milk Oolong tea cordial, Taiwan Honey Beer and ginger lily reduction — all beverages famously native to Taiwan. Yueh’s bartending career kickstarted in college where he and his friends started a cocktail club. He draws inspiration from his life’s experiences, and approaches mixology with a youthful twist. Naturally, his dream is to open his own bar in the future. As a bartender with almost 12 years of experience up his sleeve, Jane has crafted a niche for himself in Bangkok, a bustling city which constantly inspires him. In paying tribute to his country’s famously sporadic climate, Jane created a cocktail called “Wassana”, Thai for “scent of the rainy season”. To keep the experience as authentic as possible, he used ingredients synonymous with the monsoon period, such as the Siam tulip flower with drops of lingering rainwater, and fresh bael fruit that’s known for its medicinal properties. Known for brandishing fancy bar gimmicks and sticking to time-tested techniques — Jerrold Khoo has personally ensured that the classic and vintage cocktails that Jigger & Pony has come to be known for stays true to its origins. His personal mantra is that every customer should leave the bar happier than when they came in, and it is this dedication to his craft that accelerated his climb to Group Bar Manager there in just five short years despite joining the establishment after a tenure at Starbucks as a barista. Arai might boast a resume that includes a stint under the legendary Japanese bartender Takao Mori and mentor Yu Okazaki, but her credentials extend beyond the bar and into the culinary world, where she worked as a chef in an Italian restaurant. She’s since taken her enthusiasm for experimenting with flavours and creating new dishes to the world of mixology, a career which she started at a sports bar before her talent led her to the famed Bar Avanti. As an Italian native, Rossi’s climb to bar managerial position at the famous Aqua Hong Kong bar isn’t by sheer luck. His experience in the hospitality industry dates back to when he was a teenager, when he started off in the kitchen before discovering his passion for bartending. His enthusiasm led him to the historic Quo Vadis members’ club in London’s snazzy Soho district — where he was guided by his mentor and fellow Italian Luca Missaglia — before heading to Aqua Spirit, one of London’s most recognised rooftop bars. It was inarguably his tenacity and experimental approach to mixology that landed him at the helm of Hong Kong’s ultra-stylish Aqua. Taking top spot from a competition that’s brimming with thousands of class act bartenders all over the world was by no means an easy feat, but Marzo was well prepared. Crowned the World Class Global Bartender of the Year 2018, the mixologist blew the judges away with his winning cocktails, even earning praise from Diageo Global Cocktailian and World Class judge Lauren Mote for being “on another level” from the rest. Based at Melbourne’s eccentric fine-diner Lûmé, the Italian-born Marzo melds his aptitude for mixing with the restaurant’s avant grade approach, creating extraordinary cocktails that never fail to fully immerse guests in the experience.